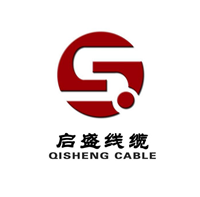 Product categories of Fire Resistant Cable, we are specialized manufacturers from China, Fire Resistant Cable, Fire Resistance Cable suppliers/factory, wholesale high-quality products of Flame Retardant Jacket Wire R & D and manufacturing, we have the perfect after-sales service and technical support. Look forward to your cooperation! Fireproof cables, the widely used fireproof cables at present, mainly include UL series flame retardant cables and flame retardant low smoke zero halogen cables. In the imported products mainly from the Americas and Europe, because the fireproof cable standards in the Americas and Europe are incompatible with each other, the fire prevention ideas are very different. Therefore, Party A and the design institute are in a passive state when selecting products, each with its own In the end, it is often chosen according to the actual situation of the funds.